Kalkadunga yurdu / William Barton, The Song Company ; directed by Roland Peelman. Past life melodies : arranged for brass ensemble / Sarah Hopkins ; arranged by Michael Hugh Dixon. Sarah Hopkins rehearses Past life melodies. 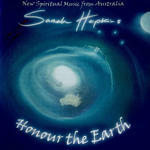 Honour the earth / Sarah Hopkins. Reclaiming the spirit / Sarah Hopkins. This our land : a retrospective of two decades of St Peters Chorale / St Peters Chorale ; directed by Graeme Morton. Until I saw : contemporary Australian choral music / St Peters Chorale. Past life melodies : for treble voice choir and 4 celli (optional) / Sarah Hopkins. Past life melodies : treble voices a cappella / Sarah Hopkins. Past life melodies : arranged for 8 horns & optional didgeridoo in A / Sarah Hopkins ; arranged by Michael Hugh Dixon. Past life melodies : for 12 celli / Sarah Hopkins. Part Life Melodies : for string orchestra / Sarah Hopkins. Past life melodies : arranged for concert band with harmonic whirlies (& optional didgeridoo) / Sarah Hopkins ; arranged by Benjamin Northey. Past life melodies : for full orchestra with harmonic whirlies / Sarah Hopkins. Past life melodies : for orchestra (& optional choir) / Sarah Hopkins. Past life melodies : for mixed voice a capella choir / Sarah Hopkins. For the record : Ian the Spruiker / by Russell Stapleton. Deconstructing Nostradamus / by Tony Barrell. Past life melodies / by Sarah Hopkins. Prophecy of the village Kremna / by Arsenije Jovanovic. Book: Rehearsing and performing 'Past life melodies' : a resource guide for choristers and choir directors / by Sarah Hopkins. Unknown date: featuring St Peters Chorale, Graeme Morton. 1 Oct 2017: at Concert 3 : 2017 SHEP Grand Finale Concert (Conservatorium Theatre, Brisbane). 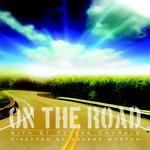 Featuring Sarah Hopkins Vocal Ensemble, Brett Weymark. 5 Aug 2017: at Women of Note (Music Workshop, Sydney Conservatorium of Music). Featuring Sydney Philharmonia Chamber Singers. 5 Mar 17: 'Voices of Spring', Schermerhorn Symphony Center, Nashville TN, USA. Featuring Nashville Symphony Chorus. 3 Nov 2012: at Tchaikovsky: The Lonely Heart (Pitt Street Uniting Church). Featuring Sydney Gay and Lesbian Choir. 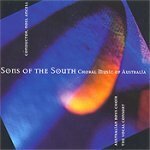 5 Oct 2012: at Australian Choral Music (St Mary's - Castlegate). Featuring Wayfarers Australia, Judith Clingan. 24 Mar 2012: at Wayfarers Australia (Australian Centre for Christianity and Culture). Featuring Judith Clingan, Wayfarers Australia. 5 Aug 2011: at Kalkadunga Man (Pinctada Cable Beach Resort Broome). Featuring The Song Company. 3 Aug 2011: at Kalkadunga Man (One Arm Point School WA). Featuring The Song Company. 2 Aug 2011: at Kalkadunga Man (Djarindjin/Lombadina School WA). Featuring The Song Company. 1 Aug 2011: at Kalkadunga Man (Sacred Heart Church Beagle Bay). Featuring The Song Company. 30 Jul 11: Burrinja Cultural Centre, VIC. Featuring Nicholas Chamber Orchestra. 30 Jul 2011: at Nicholas Chamber Orchestra presents (Burrinja Cultural Centre). Featuring Nicholas Chamber Orchestra. 30 Jul 2011: at Kalkadunga Man (Pinctada Kimberley Grande Kununurra). Featuring The Song Company. 27 Jul 2011: at Kalkadunga Man (Darwin Entertainment Centre). Featuring The Song Company. 25 Jul 2011: at Kalkadunga Man (Batchelor Institute WA). Featuring The Song Company. 23 Jul 2011: at Kalkadunga Man (Ningaloo Resort). Featuring The Song Company. 20 Jul 2011: at Kalkadunga Man (Gwoonwardu Mia - Gascoyne Aboriginal Heritage Cultural Centre). Featuring The Song Company. 18 Jul 2011: at Kalkadunga Man (Queens Park Theatre Geraldton). Featuring The Song Company. 17 Jul 2011: at Kalkadunga Man (Perth Concert Hall). Featuring The Song Company. 18 May 2011: at The National Triangle (Various venues in Canberra). 1 Jan 2011: at 25th Woodford Folk Festival Closing Ceremony "FIRE EVENT" (The Amphitheatre, Woodford Folk Festival). Featuring Sarah Hopkins, Woodford Festival Fire Event Choir, Beat Lehmann. 3 Jul 2010: at WILD COUNTRY (Het Concertgebouw). Featuring Catalin Milea, Melanie Waite, Camerata Ardesko. 1 Jul 2010: at WILD COUNTRY (Lutherse Kerk). Featuring Melanie Waite, Camerata Ardesko, Catalin Milea. 12 Mar 2010: at Sarah Hopkins: Music for the Soul (Mercy Theatre). 7 Mar 2009: at Kalkadunga Man (Frensham School). Featuring The Song Company, Roland Peelman. 4 Mar 2009: at Kalkadunga Man (Melbourne Recital Centre, Elisabeth Murdoch Hall). Featuring Roland Peelman, The Song Company. 28 Feb 2009: at Kalkadunga Man (Orange Civic Theatre). Featuring The Song Company, Roland Peelman. 25 Feb 2009: at Kalkadunga Man (City Recital Hall Angel Place). Featuring The Song Company, Roland Peelman. 23 Feb 2009: at Kalkadunga Man (National Museum of Australia). Featuring The Song Company, Roland Peelman. 21 Feb 2009: at Kalkadunga Man (Bathurst Memorial Entertainment Centre). Featuring Roland Peelman, The Song Company. 19 Feb 2009: at Kalkadunga Man (Newcastle Conservatorium Concert Hall). Featuring Roland Peelman, The Song Company. 18 Feb 2009: at Kalkadunga Man (Casula Powerhouse). Featuring Roland Peelman, The Song Company.